Help build a home for a local family! 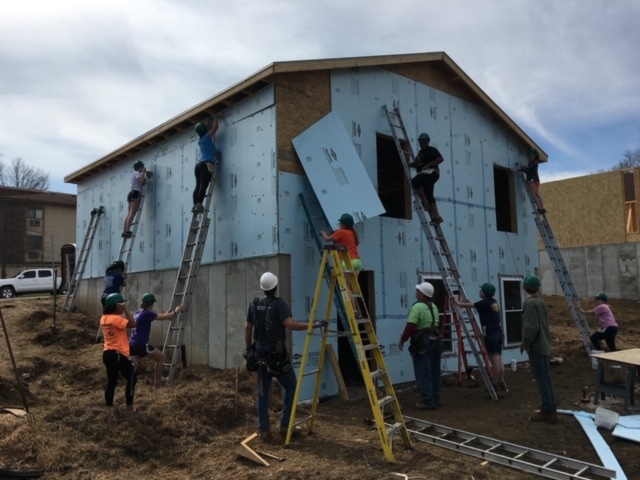 Join members of the Community Service Initiative on a one-day build site in Danvers, working with North Shore Habitat for Humanity to build affordable housing in our area. No building experience or skills necessary. Bring an open heart and a desire to work. Email service@salemstate.edu to sign up! Wear comfortable clothes that can get dirty. Work will adapt to weather conditions and what is needed on the build site. Meet inside the Central Campus Classroom Building entrance facing Loring Avenue at 8 am. Transportation and meals provided. Meet inside Central Campus Classroom Building entrance facing Loring Ave.